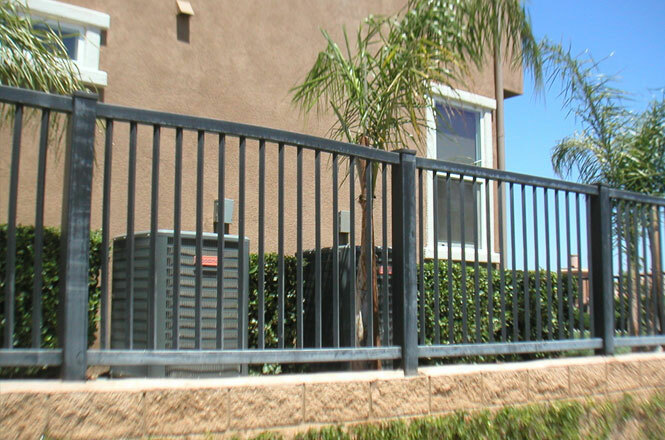 Vinyl is virtually maintenance free. 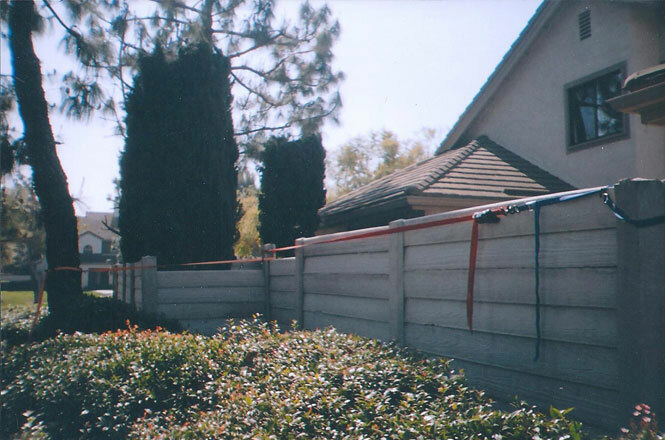 In the over 20 years we have been installing vinyl fence we have received few warranty claims. Actually, the only material warranty claim we have received was almost 20 years ago on an order of Tan post caps. The manufacturer had an error in its injection molding process and sent us new caps within 5 days. There are many materials available today that tout themselves as Maintenance Free or Lifetime Warranty. 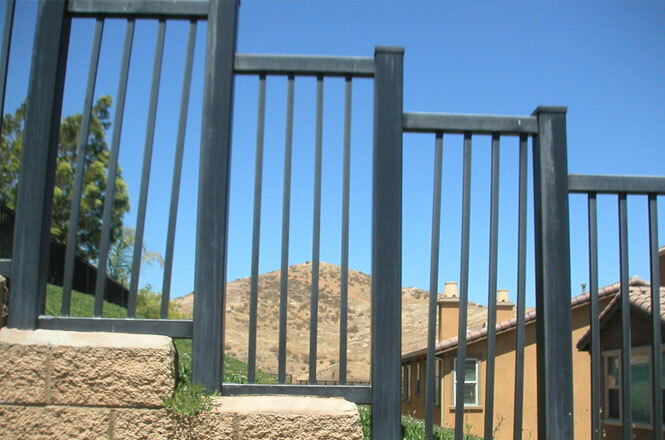 Look at the pictures below and you will see that not all materials are Maintenance Free! 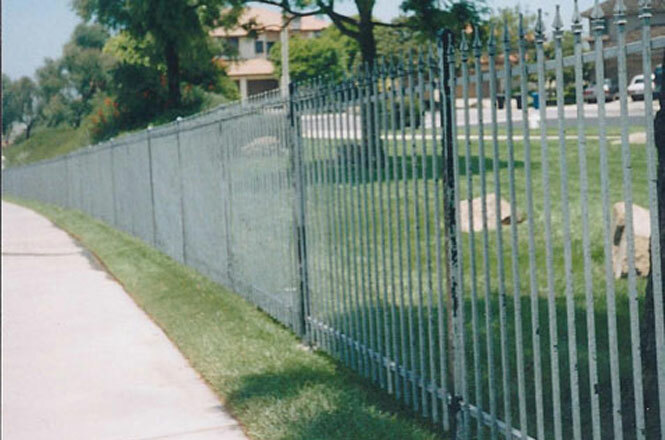 This iron fence is off of Stonehill in Dana Point. I have seen it replaced 2 times in the last 15 years, and they strip it and paint it annually. 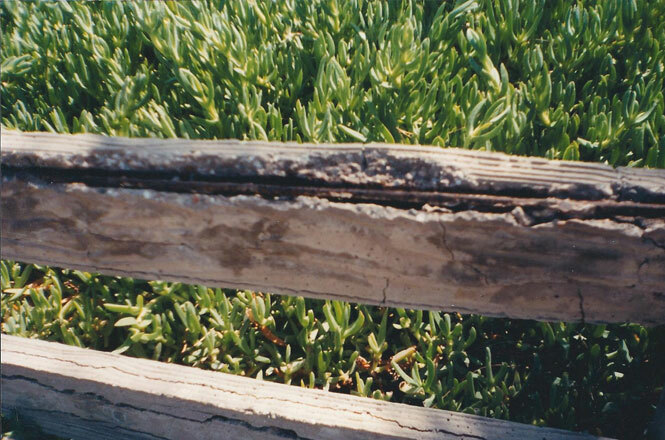 Concrete fence is warrantied for 25 years but this fence actually rotted about 8 years after it’s installation. Concrete fence does not have a footing like block wall, so despite what people think it will move when the ground moves. Whereas, vinyl will flex with the ground. 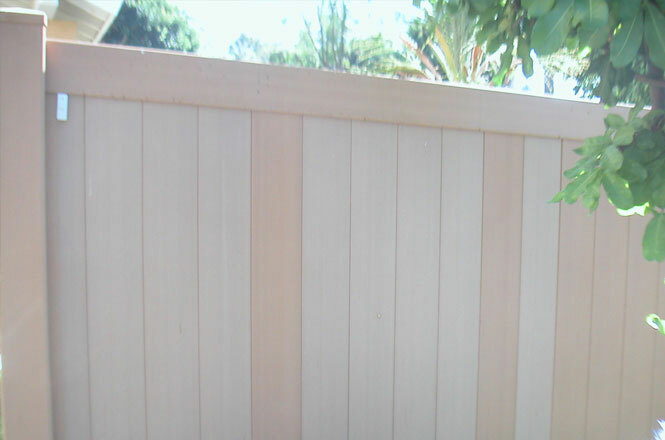 This is a “Black” vinyl fence, not a grey one. This is caused by just exposure to the elements! 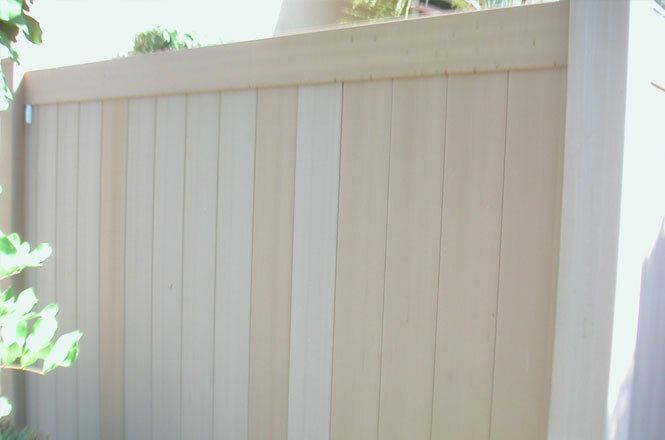 This is one of the “wood look” alternatives on the market. It has only been installed for a couple of years, but it doesn’t look very “wood look” today. Still doesn't look wood look! 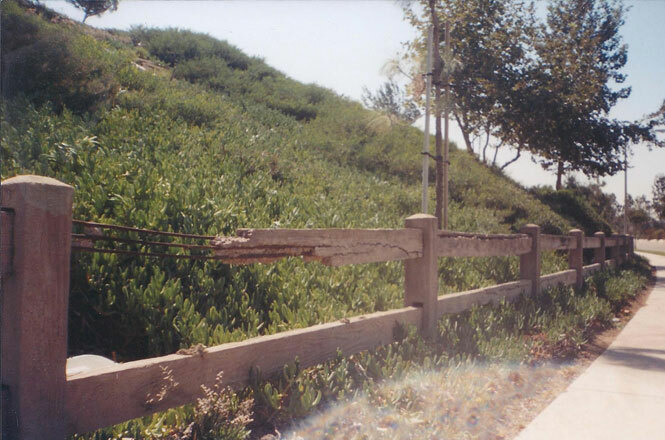 What happens with concrete fence is where the contractor cuts the rails, it exposes the rebar to oxygen. The oxygen rusts the rebar and rots the concrete. NOT VERY MAINTENANCE FREE! !